Don’t let the cold weather keep you from visiting Little Man Ice Cream this winter. The shop (and longtime client of The Stasko Agency) just launched a new line of “all weather” cones that are sure to keep the chill off. 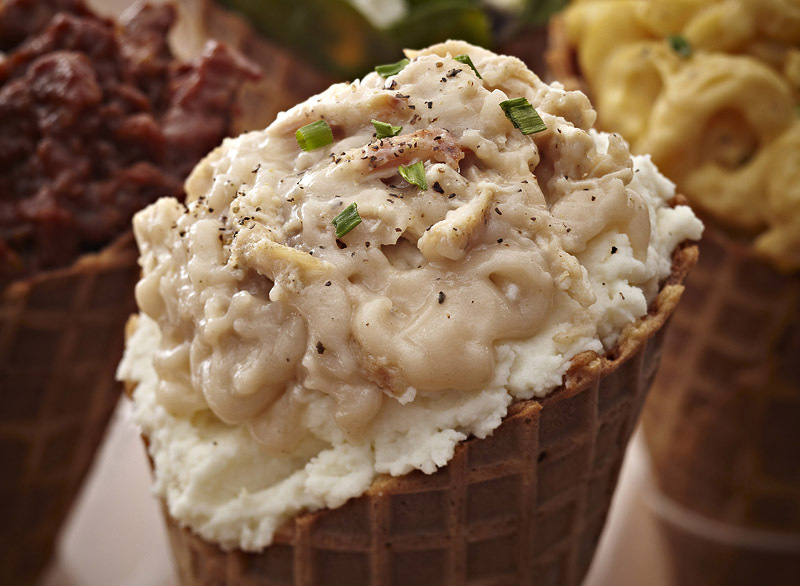 Called Bobo Cones, these creative concoctions pair flavored waffle cones with such cold weather fillings as mashed potatoes and macaroni and cheese. 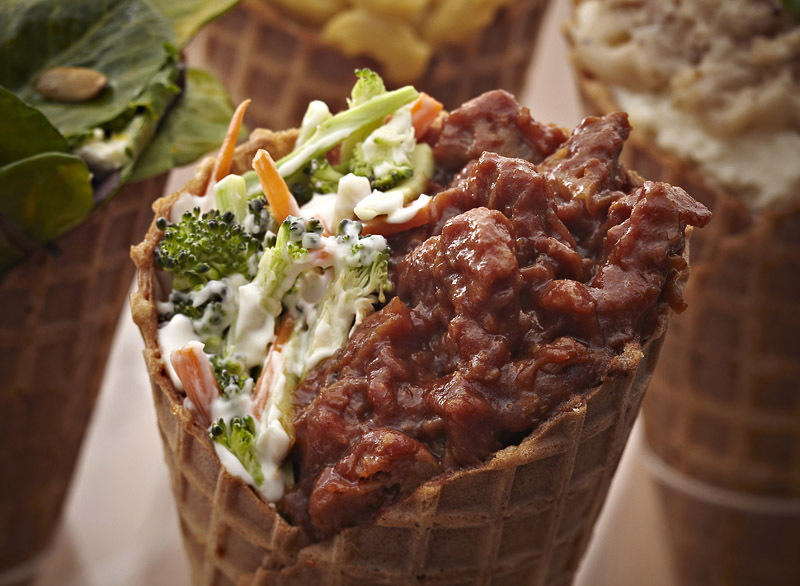 The choices range from hearty (a savory cone loaded with pulled pork and broccoli and carrot slaw) to healthy (a flaxseed cone filled with quinoa). Made fresh using locally-sourced ingredients, the Bobo cones are available daily until 4 p.m and replace the shop’s previous cold weather fare. The Bobo Cones passed KDVR’s Dan Daru’s taste test when he sampled a macaroni and cheese-filled Bobo Cone during the station’s morning broadcast a few weeks ago. You can view Dan’s report here. The new cones were also featured in the Huffington Post and on several food blogs including IceCream News. Little Man Owner Paul Tamburello (who did a great job dishing up scoops for Dan Daru) named the cones after his grandfather, who was affectionately referred to as Bobo by his grandchildren. 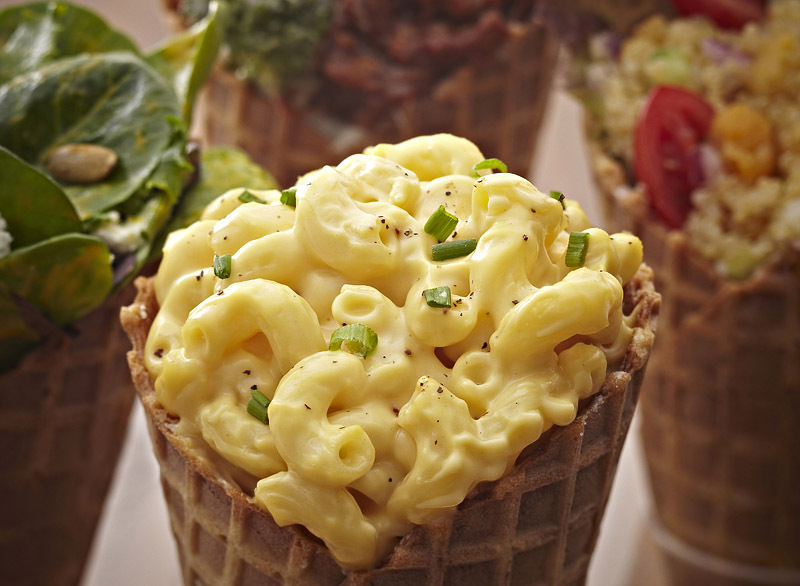 The cones make great mobile meals, so try one for a quick lunch or dinner. We know you won’t be disappointed.